The gazebo is somehow sadder. I’ll have to get up there in the next few days and get the nest down from the top of the speaker. To be honest, I’m putting that off because it is such a final move. Necessary but final. The garden that went in almost 2 months ago is not progressing as hoped. There’s good news and there’s bad news. 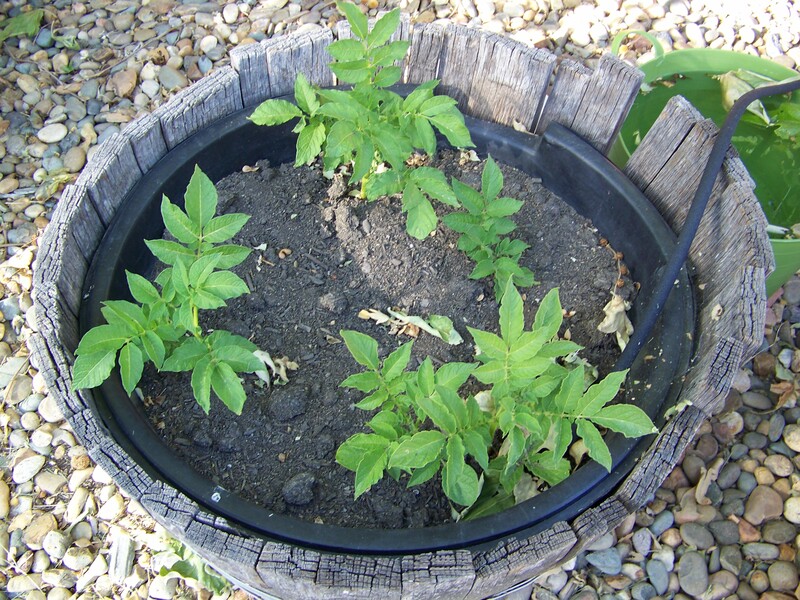 On the good side: The potatoes in the barrel are growing like weeds. 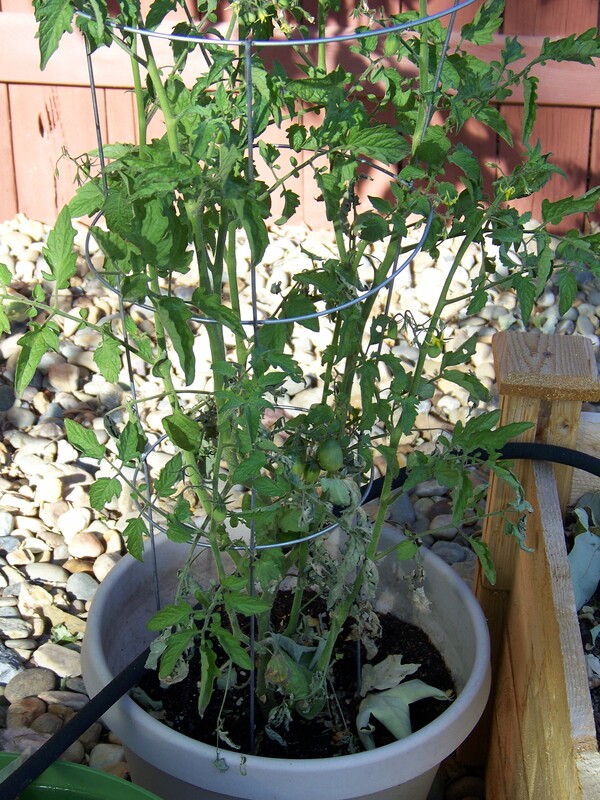 The cherry tomato in the pot is also growing well. It even has several tomatoes and more blossoms. The 4×4 bed is disappointing. The garden soil that I bought to fill it was mostly compost and humus and the bag said it had several types of composted manure in it as well. The plants aren’t happy. They’re small and anemic. I’m watering with a soaker hose but it isn’t holding water like it should. I’m not happy. Not at all. So what’s the difference between the pots and the bed? 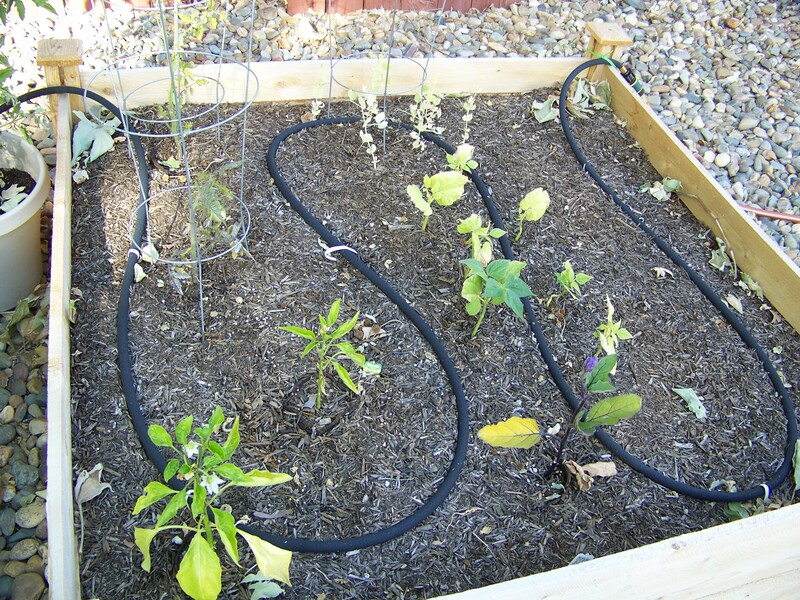 The pots have a mixture of potting mix and the garden soil that is in the bed so clearly the addition of the potting mix makes all the difference. I’m putting fertilizer on the bed and hoping for the best. All in all not a great week in the backyard. All photographs, however sad they may be, are my own.